Our company performs roofings in a single-layer roof membranes system. We owe authorizations from Protan company and we make our roofs using materials and technologies of this company. We employ well qualified staff, so as an equipment necessary to make a proper roofing. We work use a professional tools of Swiss company LEISTER, inter alia a new type of Leister Varimat V2 welding automat . 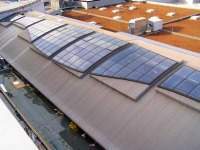 Protan is an international producer of single-layer roof membranes and technical textiles. 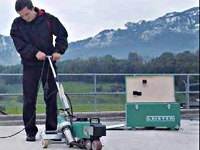 Since 1971 in Europe were placed more than 60 million m2 of Protan roof membranes. Roof and waterproof Protan membranes are proper both to new isolations and renovation projects. They may be placed on all standard ground types. 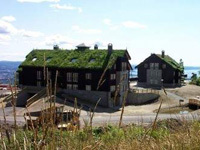 Protan membranes are used to all roof types, including green roofs and also in finishing terraces, wet rooms isolation, storied garages and tunnels facings. Particular products were designed for mechanical fastening, leaving unattached or to stick, depending on specification. The Protan waterproof roof membranes have gained a long-term use certificate, which were verified by few independent construction institutes and additionally approved by fact, that roofs made by Protan that count more than 30 years are still in perfect condition. The Protan products characterizes with advantages like resistance for piercing, tearing and stretching.